Sgt. Guinness: The Congo Boats have arrived!!! My new custom made Congo / Darkest Africa boats have arrived from the “Last Stand Dan’s Boatyard”. With all the hubbub about the new rules set “Congo” visions of river excursions, dense jungles, ancient ruins, angry natives, and evil slavers danced in my head fueling multiple scenarios. So I decided to ask my buddy Dan to make me some Congo style boats, and boy he didn’t disappoint! He makes all sorts of colonial vessels, gunboats, stern wheel and side wheel steamers, dhows, junks, etc. Check out his blog for pics, WIP’s, details, and prices (which are VERY reasonable by the way!). Here is his prototype “Congo” steamer. Simple, effective, designed for gaming, sleek, and elegant! I especially like the paddle wheel assembly and the decks. One look at this boat and I immediately envision it steaming down the Congo delivering trade goods, transporting adventurers, packed with archeologists, or troops and supplies to assist a beleaguered mosquito infested garrison. Dan has added steel hidden under the decking in the bow and stern to accommodate guns with small magnets added to their bases to easily change the boats armament or have it unarmed without spoiling the look of the deck. With a quick change of a flag inserted in the attached rod these boats can fly anyone’s colors. Dan will also be supplying various nation’s flags for us to choose from and possibly even various types of armaments. No Congo or DA game would be complete without Dhows! Picture the evil Slavers prowling the rivers, supplies being ferried up and down river, natives fishing, etc. These boats are at home on the Blue Nile as well as the White Nile River, carrying Dervish tribesmen, armed with cannons, attacking paddle steamers and gunboats! These boats are once again VERY user friendly and designed for gamers. this Dhow actually does double duty as a Chinese Junk. With the removal of the single sail and the addition of bow and stern pieces plus two masts this Dhow can be a junk in under a minute! Dan used the same hasp type hardware and thick fabric masts to make this cool Junk. The Dhow came packed with the mast down and lying flat in the boat. I easily inserted the mast, clipped the (2) rigging hasps, clipped the (1) hasp for the sail, placed the sail line magnet on the hidden steel, inserted the front sail line in the small hole in the bow of the deck and it was ready for the game in under a minute. The mast comes out without having to remove the rigging as the rear is permanently attached and the front lines use hasps to secure it. This is a perfect Dhow for 25/28mm figs. I fit a full 20 man TSATF unit in the rear and a gun with crew in the bow with space to spare. These boats will look stunning on Dwight’s tables at Hurricon and Recon in Orlando, Florida and Rapier Con in Jacksonville, Florida, where he runs his Darkest Africa games. We use the rules set “The Sword In Africa”. 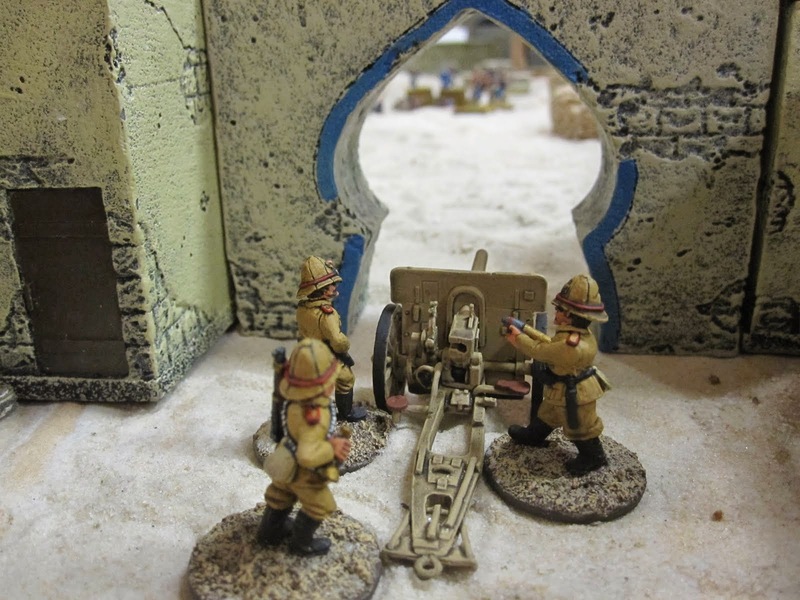 It’s a Darkest Africa rules set from Sgt’s 3 that are in the same rules book as “The Sword And The Flame”. This is our preferred rules set, which we play as often as possible. We usually play in (2) TSIA games at each of our South Florida cons. These games are HUGE FUN and The Sword In Africa is an excellent set of rules for this period and theatre. I may be biased, but I think Dan’s boats are a beautiful addition to anyone Congo, Darkest Africa, or Colonial collections! Dan’s customer service and communication are excellent as well. If you are lucky you may see Dan and his boats at a con anywhere from Colorado to Florida. I may be biased, but I think Dan’s boats are a beautiful addition to anyone Congo, Darkest Africa, or Colonial collections! Dan’s customer service and communication are excellent as well. If you are lucky you may see Dan and his boats at a con anywhere from Colorado to Florida. Here's the link for the local Florida chapter of HMGS-South and the (2) conventions a year that we run as well as the other awesome Florida con, Rapier Con that the Jacksonville Garrison runs each year.